To link world class coaches with leaders of NGOs tackling serious environmental and humanitarian challenges in order to increase their leadership capacity and the effectiveness of their organizations so as to enable some 64 million additional children to be supported over the next ten years. The EthicalCoach vision comes alive when the Ethiopian NGO Leadership Coaching Summit gets underway in Addis Ababa on October 4 – 5 , 2018. 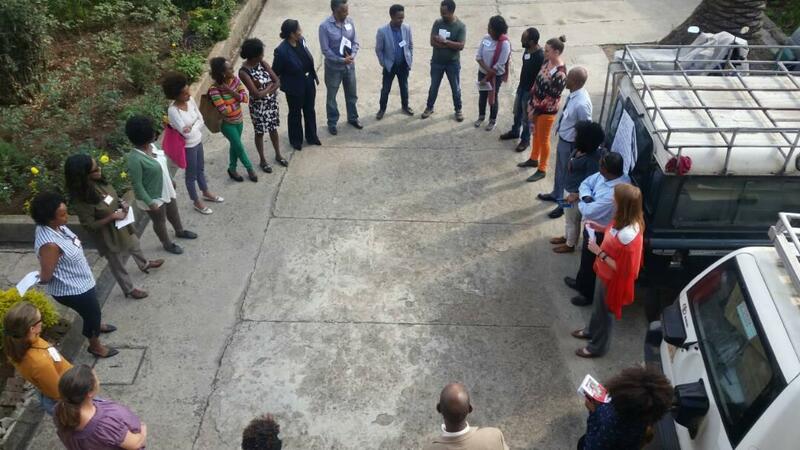 The Summit is the start of the Ethiopian coaching initiative being facilitated by the EthicalCoach team. Designed to unite world-class international coaches with NGO leaders from Ethiopian non-government/civil society organizations committed to tackling pressing humanitarian and environmental challenges, this initiative will support leaders in their quest to transform the lives of children and families in need. Four hundred carefully selected NGO leaders will have the opportunity to participate in the Summit, experiencing the profound benefits of working with some of the very best coaches in the world on issues of relevance to Ethiopia to-day. By making the highest levels of executive coaching accessible to NGO leaders and their teams, the Summit will empower these individuals to build on their track records of success and to step forward with confidence to achieve their goals. Attendees will leave the event having created a vision for change together with a practical action plan. They will take away tools and practical solutions to build on their organization’s strengths, attract additional funding and turn their plans into reality. Participants will also have a rare opportunity to experience the power of coaching on a personal level, exploring new perspectives that will provide insights while building leadership capability. There is no fee to attend the Summit as the event is fully sponsored by EthicalCoach. 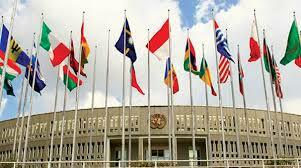 The Summit will be held in the famous UNECA building in Addis Ababa and is hosted by the Ethiopian Charities and Societies Forum (ECSF) in conjunction with EthicalCoach and our local partner, the Consortium of Christian Relief and Development Association (CCRDA). 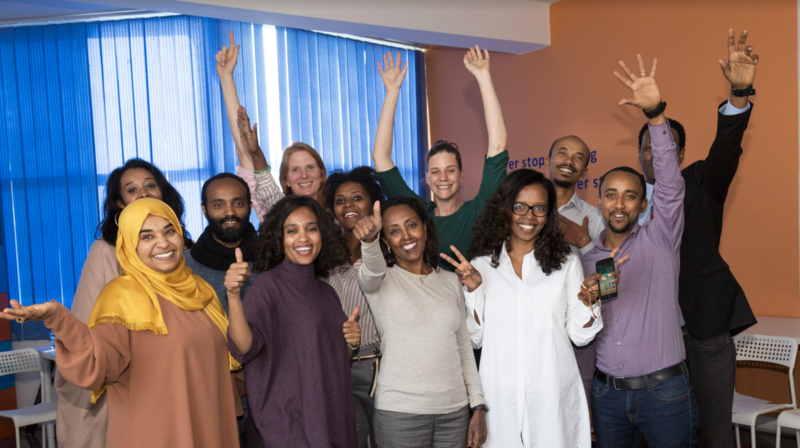 Following the Ethiopian NGO Leadership Coaching Summit, 10 NGO’s will be selected to receive a coaching grant for individual and team coaching for an entire year at no cost to them. Each selected NGO will be matched to a team of three coaches: two international coaches and one local Ethiopian coach. Simply stated, the purpose of this coaching is to help these NGOs deliver even more in the way of support and services to their community. How? 12 sessions of one-on-one coaching will take place with the leader of the NGO and one of the international coaches; and, in addition, the pairing of the other international coach and local coach will provide 12 team coaching sessions to the leader and leadership team together. These sessions are designed with enormous rigour and thoughtfulness to build on current strengths and support the development and implementation of plans to address opportunities and key issues. The benefits are numerous and include a strengthened and energized group of leaders as well as a higher performing organization. To support the coaches deliver their best work, in accordance with best practice, a team of outstanding supervisors under the leadership of Eve Turner of the Global Supervisors’ Network, and Marita Fridjhon, founder of CRR Global, has been recruited. The coaching program itself will be subject to rigorous assessment through an impact evaluation. NGO leaders in Ethiopia are remarkable in terms of what they have achieved to-date. Their challenge now is to step forward with confidence to embrace the opportunities that are becoming evident in Ethiopia at this time. EthicalCoach is committed to supporting these leaders renew and refresh their commitment and mindset for the work ahead, strengthening their capability, networks, capacity and courage. This work begins with the Summit and continues for ten NGOs with 12 months of individual and team coaching delivered by international and local coaches. For other NGO leaders, additional resources and mechanisms are being developed to support their leadership development journeys. To build ongoing coaching sustainability, EthicalCoach is supporting the growth of local coaching capacity, fostering funder understanding of the value of coaching and, in addition, making a wide range of resources available to support the ongoing growth both of local leaders as well as coaches. Solomon Sisay, one of those selected, said “I am delighted to have been chosen as one of the participants in this first coach certification program in Ethiopia. I’m hugely excited about the opportunities to learn from world-class coaches and to have the chance to work with them and NGO leaders in due course”. Thirty enthusiastic volunteers signed up for an intensive eight module blended (individual and team) coach training series delivered by Professor David Clutterbuck, our featured keynote speaker at the Ethiopian NGO Leadership Coaching Summit, supported by a team of local and international volunteers. The training consisted of eight 90-minute virtual training sessions, combined with 90 minute in-person application opportunities comprising a combination of coaching skill drill practice and reflection with peers. Additional learning support has been provided by a team of ten Global Supervisors’ Network (GSN) supervisors, led by Eve Turner. A second training opportunity has been made possible by Marita Fridjhon, founder of CRR Global. A 2-hour virtual orientation session will be followed by a two-day intensive systems coach training on September 30 and October 1, 2018, with wrap up comprising two virtual integration sessions, one each in November and December. Accreditation opportunities for these local coaches have been arranged through the European Mentoring and Coaching Council (EMCC). 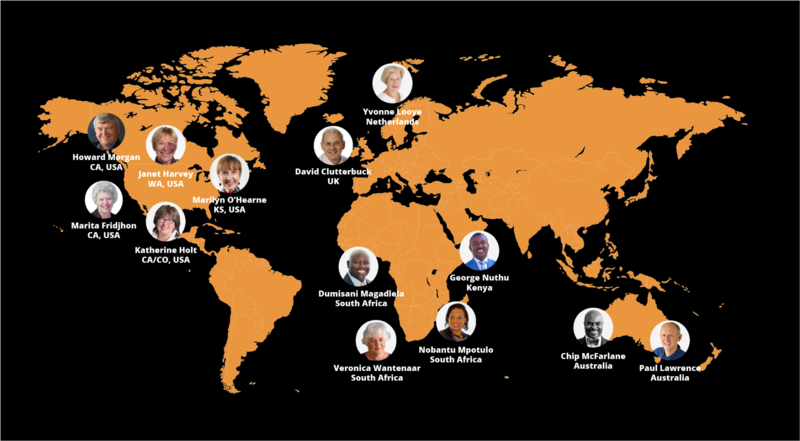 Ten of these local coaches will be selected to co-coach NGO leadership teams alongside our internationally coaches following the NGO Leadership Coaching Summit. As part of the EthicalCoach coaching team, they will continue to receive coach supervision support throughout the 12 month coaching program. Ahadu Gebreamlak, Aklilu Abate, Amakelech Lulu, Annelien Meerts, Aynialem Tilahun, Bekri Ahmedin, Deborah Lundstrom, Ebba Tesfaye, Eskender Kassa, Fouzia Muhsin, Gifti Nadi, Haregewoin Semachew, Kalkidan Abera, Karin Wilms, Lamrot Fikre, Leah Dejenu, Matthew Broderick, Pretty Mehta, Rahel Asefa, Rakeb Wandimagagnehu, Sara Groenendijk, Saskia Kloezeman, Solomon Sisay, Tenadam Kaleab, Tsedale Adamu, Wubet Girma, Yared Shiferaw, Yewbdar Tasew, Yohanes Neda, Yonas Tegene. Achieving the mission of EthicalCoach is dependent upon building relationships with like minded organizations, creating a shared vision of possibility and working together to build local sustainability. The roles played by local partners are many and varied and include supporting EthicalCoach gain access to the sector and build support and understanding of the value of coaching as a critical part of any leadership development initiative moving forward. For coaching to become an integral part of leadership development in Ethiopia, its value needs to be proven so that funding will be made available. Our rigorous impact evaluation process, combined with the systematic development of case studies during the year long coaching program, will help demonstrate the effectiveness of coaching in delivering higher levels of organizational performance. Also important to building understanding and appreciation is having some personal experience with the power of coaching and to that end, many of the local and international funders have been invited to attend the Summit. Initial MOUs were signed with the Ethiopian Charities and Societies Forum (ECSF) – an organization created five years ago to represent the NGO sector to the government -and the Consortium of Christian Relief and Development Association (CCRDA), the largest of the Ethiopian NGO consortia or consolidators. We have also formed strong relationships with many other significant players such as the Centre for Creative Leadership (CCL), World Vision, Save the Children (STC), the Centre for African Leadership Development (CALD), Catholic Relief Services (CRS), the International Rescue Committee (IRC) and the R&D Group, generous hosts of the local coach training sessions. Access to information provides access to possibility and a greater potential. Before and after the Summit, specially curated resources (such as articles, videos, webinars and workbooks) will be made available to NGO leaders to support their learning journey. Organized by themes that correspond with identified areas where additional skills are needed, these resources will be updated on a regular basis and will be complemented by opportunities to participate in regular virtual updates and coaching support sessions. Does coaching actually make a difference? How do we know? How can we prove it? While there has been work done on the ROI of coaching, there is little formal Impact Studies done specifically on the impact of coaching NGO’s and Charities. We have been so grateful for the continued support of our Impact Evaluation mentors: Alex Orsola, Director of Global Networks, University of California, Berkeley; Julie Haddock-Millar, Associate Professor of Human Resource Management, Middlesex University; and Johan van Zijl, Director of Leadership Circle South Africa Archield. Baseline impact evaluation self-assessments covering leadership behaviors, leadership effectiveness and NGO performance are continuing to be developed by Yene Assegid and Kerry Woodcock, with mentoring from Julie Haddock-Millar of Middlesex University and Alex Orsola of University of California, Berkeley. Stay tuned for more developments here- we do hope these studies will be written up in major academic journals and while this piece takes a tremendous amount of time and dedication we know how important it is to have more grounding behind the positive impact of coaching in the NGO sector. 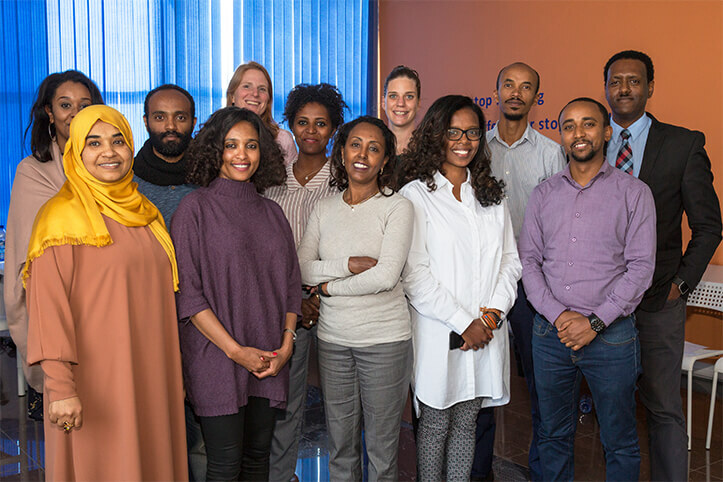 Our diverse group of international coaches, coming to Ethiopia from six different countries, was hand-picked from over 500 applications and are among the world’s best. You can find profiles of each of the coaches here. To support the coaches deliver their best work, in accordance with best practice, a team of outstanding supervisors under the leadership of Eve Turner of the Global Supervisors’ Network, and Marita Fridjhon, founder of CRR Global, has been recruited. In order to bring this vision to life, we need your help. We can only do so much on our own… but we understand that this is a vision much bigger than just ours. This is something that the coaching world is ready for- and we would love to open up the opportunity for you to get involved. How can your family/friends and network get involved? Help us to get the journey documented. We are needing some help reaching out to newspapers, media, and journals to have them cover this this journey. Do you know any journalists/writers who work for the Guardian, Wall Street Journal, Huffington Post, or even local publications that are highly esteemed that you think would be interested in writing about the biggest coaching event to ever happen in Africa? Please email me personally ben@wbecs.com or click here – and I can send you some information to forward to your contacts. You can donate Kindles, ipads/computers/ phones (used or new), USB keys, coaching books, solar chargers or anything else that you feel would be of value, please fill out this form and let us know what you have! Don’t have items to donate? You can also make a tax-deductible donation here and we will feature you as one of the names behind this initiative. If you have any resources that would support the development of NGO Leaders that you are happy to share please let us know. They will of course be curated as we do not want to overwhelm the leaders but we do be able to offer continual learning, particularly for those that do not get selected for the Coaching Grants. Following on from B, if you specifically have any learning resources for Women in Leadership that you are happy to share that would be very much appreciated as we have a defined session on this. We have been making a significant effort to ensure we have as many female leaders at the event as possible, as often is the case with events like these, the learning opportunities are made available predominantly to male leaders. Help us to set up the VERY FIRST ETHIOPIAN Aspirant Coaches for success by creating “local-coach-success packages” that we can give the coaches at the graduation this October. 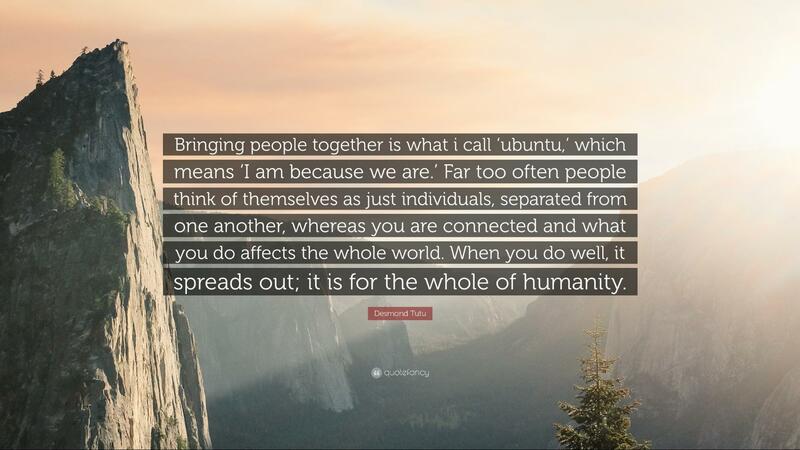 Share the need: The time has come for us to come together to bring access to coaching to those who are working to make the world a better place for ALL of us. Please share our call for these resources with your networks, and help us to spread the word. Stay tuned: Please stay connected to our Facebook group where we will share updates and additional ways to be involved in the coming weeks. Thank you so much for taking the time to read through this important update. P.S. You can find the EthicalCoach timeline here.